A.W. 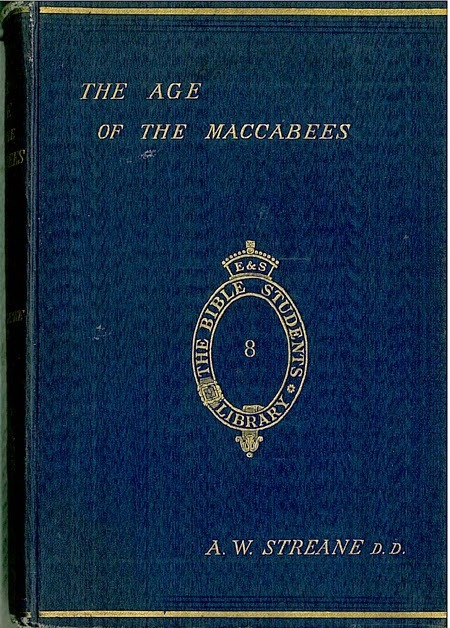 Streane [1844-1915], The Age of the Maccabees with Special Reference to the Literature of the Period. London: Eyre & Spottiswoode, 1898. Hbk. pp.227.